Developing a financial plan based on sound advice and knowledge. Implementing the customized plan to help achieve those goals. Never losing sight of the essential element in Financial Planning – personal service. 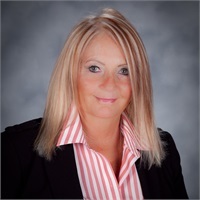 Bonnie initiates regular meetings with her clients to update and monitor their progress, address their concerns, answer any questions that may arise, and develop a long-term business relationship. Knowing first hand that there is more to "Retirement" than dollars and cents, she thinks more in terms of planning for "Life's Next Adventure", whatever that might be. She brings her professional and personal experience to each client and their personal retirement plan. Utilizing the resources, knowledge and experience of Lincoln Financial Advisors, Bonnie provides a high level of support and service to her clients. Bonnie has earned her Chartered Retirement Planning Counselor designation and continues to educate herself in the current financial products and planning strategies. She is a member of Financial Planning Association and the Sierra Pacific Great Pyrenees Club. Bonnie has three grown daughters, three grandchildren and resides in Lincoln, California. She enjoys spending time with her grandsons, competitive ballroom dancing, boating, golf, swimming and her 6 year old Great Pyrenees which she adopted.